So with the horses all in sick-bay I found some Lamy-time and took myself to the doctor about a few minor niggles. Tests showed that I was deficient in Vitamin B12. No biggie but a couple of weeks of injections and I feel like a completely different person. This is no exaggeration, in comparison I feel like Tigger! I knew I was tired, but we all work hard long hours and there’s always someone driving themselves harder than you. I realise now in hindsight there was also a heavy fog in my head. I have just gone back to my holiday emails to see what I booked – seriously! I had no idea that I was unwell until I was better. So just to warn you all – I’m back in the room!!!! We’ve been pretty busy on the training front. 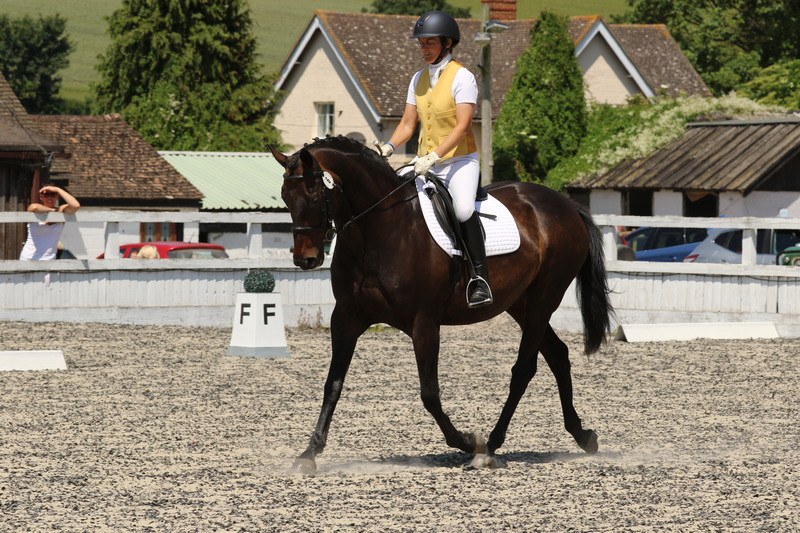 Some of the dressage divas have been out doing great things with some 70% club scores and Area Festival outings. 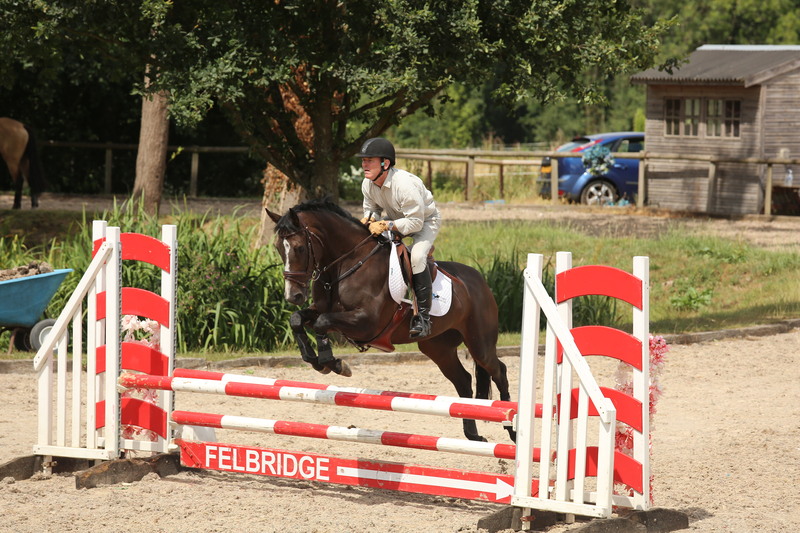 We’ve had some all day clinics at Tweseldown, Adds Farm and Lodge Farm. As always these were great fun. Things have tapered off a little now with the XC venues being so hard and the arenas everywhere riding so deep. Thank goodness for the recent rain. 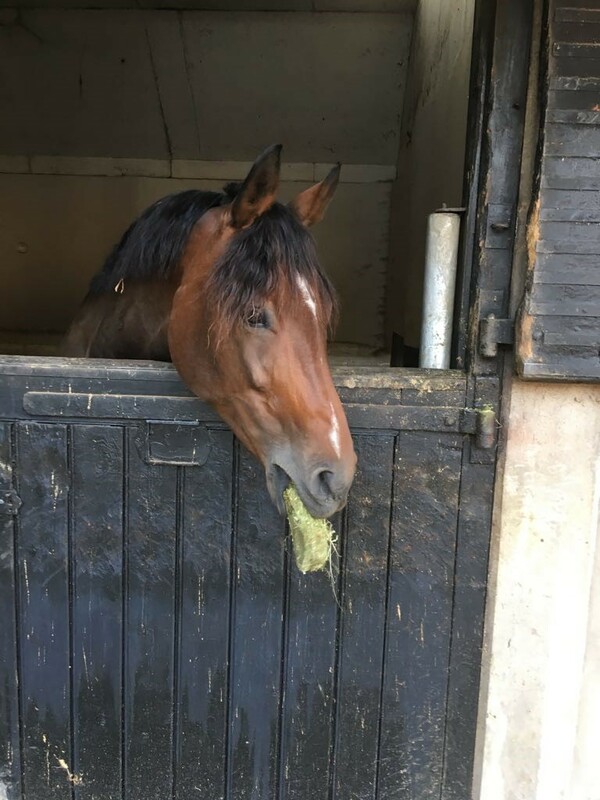 It became pretty clear that young Rodders was still very jumpy and nervous, and after bolting with Martin onboard and burying him the other side of the arena in the fence we decided that perhaps he needed some more life skills before we try that again. With Martin so busy abroad with work and summer Pony Club commitments we sent him to Myles West down the road for four weeks work. Myles did an amazing job with him. It was really interesting to hear his plan of action and pop in to watch progress, and I couldn’t be more pleased with the outcome. 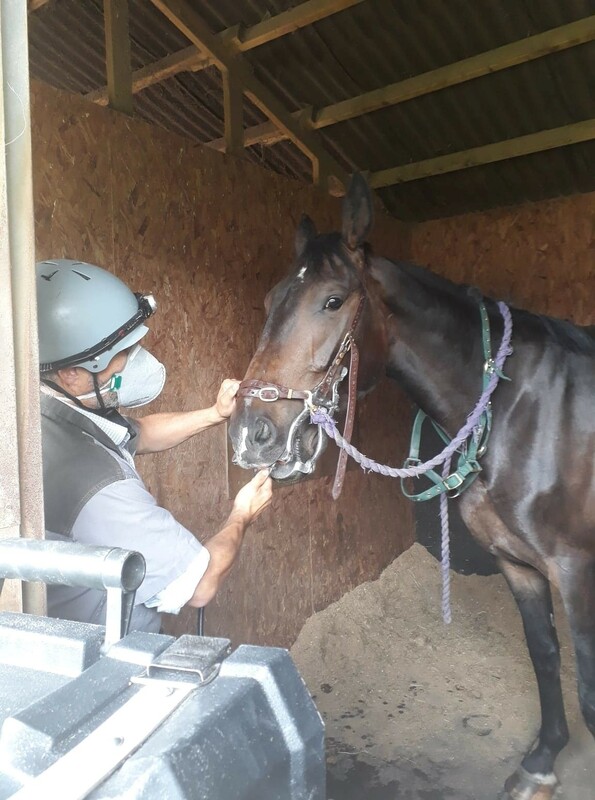 Before we sent him off he had his vaccinations, farrier for a trim, and the dentist and coped with this all really well. 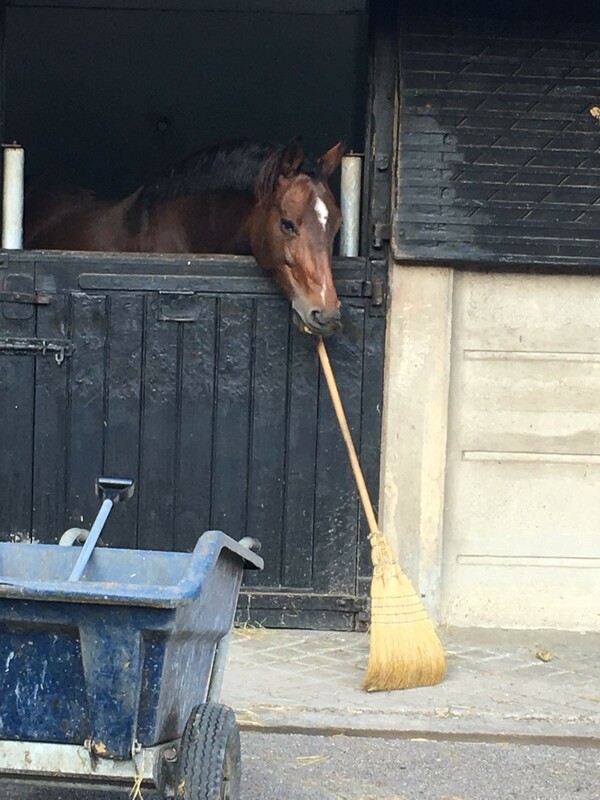 We then did some loading practise which he very quickly got his head around, all leading me to believe that he’s a very nice boy who just has some issues understanding things around him. Am excited to have him home now where we have lots more work to do teaching him new things. So far he’s been out on the stubble all by himself and trotted his first coloured pole. How exciting! I can’t wait to have everyone home again. The Bomber looks like a child’s roly poly Thelwell. You wait until you see some photos of that one. She will come home fairly soon. Ehren isn’t playing ball on the pregnancy front. Our first two attempts failed completely, and although we got an embryo on our third attempt there was nothing on the heartbeat scan. Sally and Rossdales are doing a fantastic job. We’ve found out more about her hormones and rather chaotic ovaries while she has been away. The list of people I would trust to look after the Beautiful One is very short indeed, and she looks completely relaxed and happy. One more try before the stud closes. Come on Ehren! On the positive, her suspensory injury looks good now. Lottie who I ride for Jasmine has seen Char a couple of times before heading out to Oldencraig and Cobham BD. At Cobham she was really smart and got 76% in both her Prelim and her Novice. Tinka has been continuing with her rehab work on the lunge and over poles. I have just started to ride her now in the hope that she will go home soon ready to crack on with work. Great news from Lily and Millie. Lily looks sound and Millie has had the go ahead from the vet to start jumping work so both have quietly been practising at home. We decided that a trip to Felbridge was in order to gauge how they were feeling. Last time we went to Felbridge with Lily she explained in no uncertain terms that she wasn’t up for this any more so I was a little nervous about what she might say. Two clear rounds over the 70cm and 80cm. Gulp! We are still very cautious as she has bruising coming through her soles, and she could feel the stones in the carpark but it’s safe to say that the little tough ginger is feeling more comfortable than she was. Millie too was fab, just a little opinionated and strong but jumped the 80cm and 90cm nicely. She hasn’t reverted to loony-toons which is a relief. Lots of clear rounds from the girls. It was so good to be out. Huge congratulations must go to fellow local Simple System rider Ashleigh Hill who won her Novice Silver Regionals on her homebred mare. The stuff that dreams are made of. I repeat, come on Ehren! What we do next very much depends on the weather and the ground. We are hoping we might XC school Millie at the weekend. Pack your parachute Martin!! Then maybe we might get Millie to some events before the end of the year but we need some more of the wet stuff. Nice to be looking forward to things!